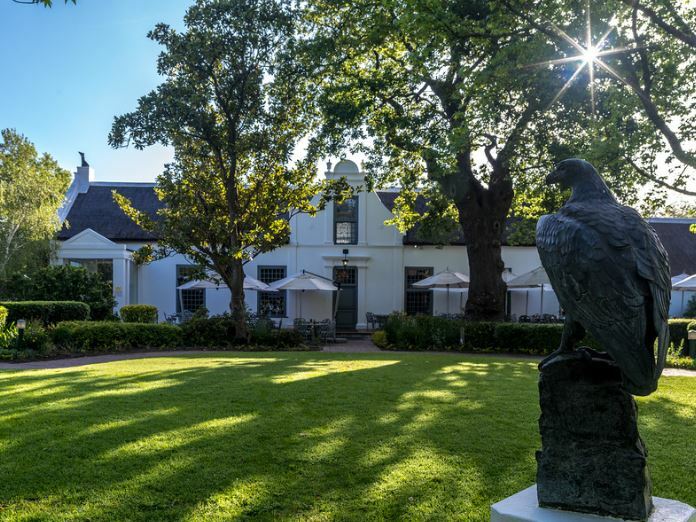 The Erinvale Estate Hotel & Spa is a sprawling complex in Somerset West, situated near historic Helderberg wine estates and neighbouring the magnificent Erinvale Golf Course. Retaining the charm of an early Cape Dutch farmstead, Erinvale provides modern hotel facilities to honeymooners, golfers, celebration parties, executive groups and visitors wanting to explore the Cape winelands. 56 Rooms are set in expansive gardens shaded by great old trees. Facilities include Seventeen07 Restaurant, Skelligs Irish-styled pub, a hair salon, spa and wedding chapel. There's currently no specials at Erinvale Estate Hotel & Spa. The Erinvale Estate Hotel & Spa offers five conference venues and breakaway rooms, which can cater for conferences, product launches, cocktail functions, banquets or gala dinners. The Camphor 1, 2 & 3, Oak and Birch facilities are elegantly furnished and can be configured to requirements to accommodate small groups of 10 up to sizeable groups of 250 people.